Highland is a plug-and-play solution for compliantly blending cannabis concessions and sponsorships into your event or venue. We are experts at conceiving, curating, and producing flawlessly-executed cannabis experiences. We don’t just manage and operate concessions. We create retail experiences audiences talk about, and help you find new ways to drive revenue. We bring the extensive industry knowledge, compliance expertise and retail know-how you need to make cannabis a smooth, well-organized, profitable part of your event or venue operations. Cannabis culture is as diverse as your audiences are. Highland offers the industry and artist connections you need to create truly unique, personalized experiences. Our network of premier entertainment professionals opens up collaboration opportunities between product producers and entertainers – or even customized, artist-centric products created just for your audience. 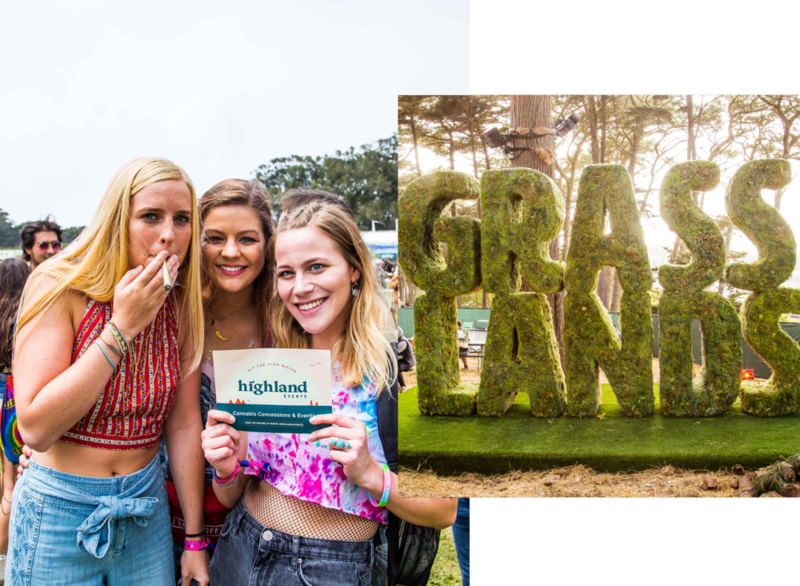 Highland is a proud sponsor, producer and procurer of Grasslands at Outside Lands. Highland used OSL 2018 as a testing ground for AB2020 and to build our reputation and a model that we can replicate and learn from.